The history and achievements of previous expeditions is often difficult to unravel and there is little that substitutes for first-hand knowledge of a range. However, taking the time to extensively research potential objectives will provide a huge amount of insight for prospective expeditions and ultimately help once on the ground. Mountaineering is unique in that it has a great tradition of recording and documenting its history and much of this is now available online. There are a great many resources which can unearth maps, lines and information on almost every region on Earth. Potential applicants must be prepared to undertake a significant amount of research to present a clear understanding of their potential objective and ultimately the logistics required to access their chosen area. The Alpine Club Journal is one of the worlds leading resources on the Greater Ranges and dates back to the earliest days of mountaineering. Each year an annual ‘Area Notes’ is published that details activity in each region and also a summary of all MEF supported expeditions in the previous year. The HI is compiled directly from the Alpine Journal, American Alpine Journal and Himalayan Journal with aim of providing quick access to specific areas and peaks over 6000m. Detail is extensive and includes information on ascents, years, and routes. This is now out of print but chapters are available as PDF downloads from the website and is a useful resource for those starting out on their first expedition. An equally useful resource is Elizabeth Hawley's expedition archive. The meticulous detail of the database comprehensively covers Nepalese peaks and expeditions since 1905 and contains biographical information on expedition members as well as links to further relevant literature. The RGS Collections comprises of over two million documents, maps, photographs, paintings, periodicals, artefacts and books, and spans 500 years of geography, travel and exploration. 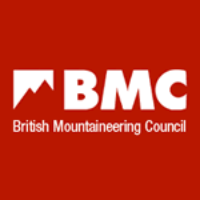 A major resource for information on mountaineering history and publications, holding extensive collections of books, journals, maps, photographs, artworks, artefacts and written archives. The latter includes unpublished diaries, correspondence, written climbing records and guides fuhrerbucher. The ACL has scanned the reports from all MEF supported expeditions from 1955 to the present time, and these will be accessible via the AC website.